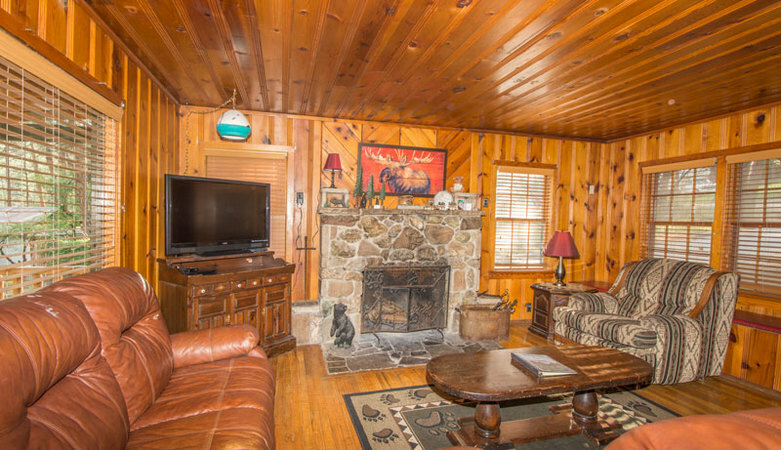 DESCRIPTION: Our Castle Cabin is a real gem. 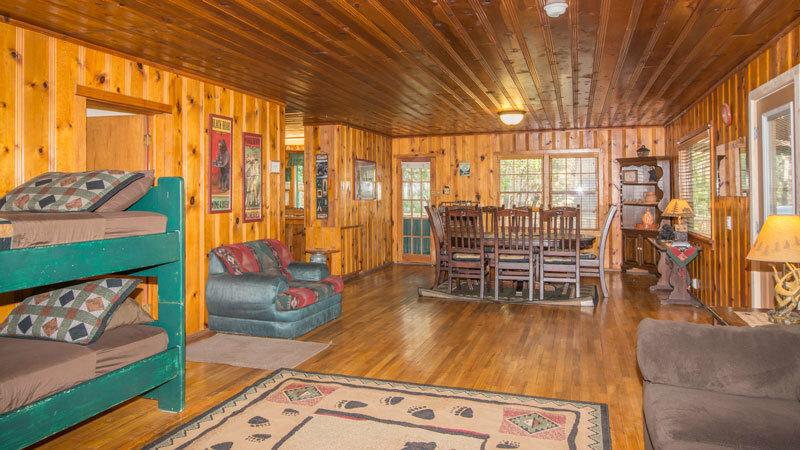 An original Ruidoso cabin with lots of wood features and tons of character. 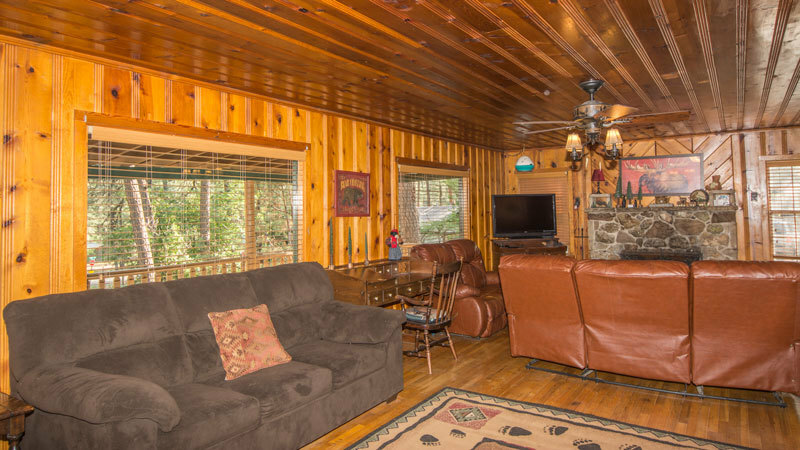 This roomy cabin is a perennial favorite for large family’s and groups. 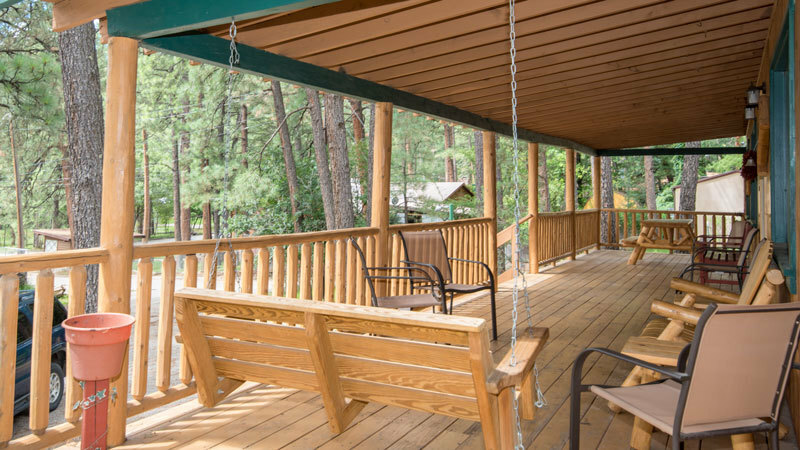 From it’s massive deck to the open air hot tub it doesn’t miss a trick. 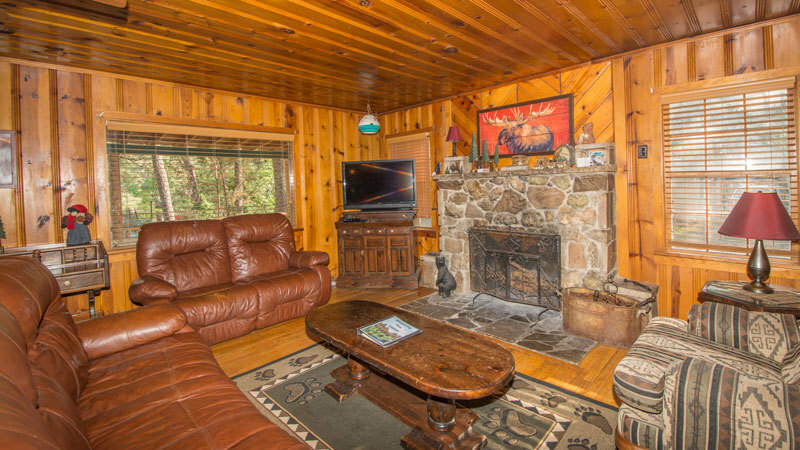 The kitchen and dining areas are perfect for big gatherings and the living area is a “Great Room” with lots of comfy seating, a large flat screen, DVD player and a beautiful wood burning fireplace. 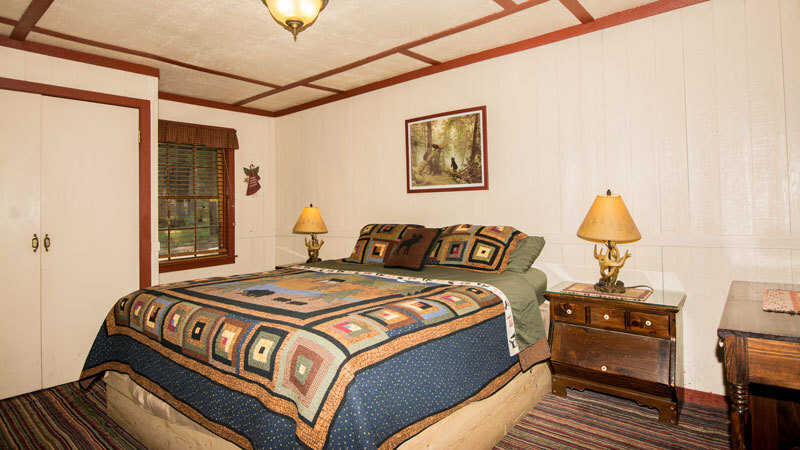 The main cabin has two bedrooms. 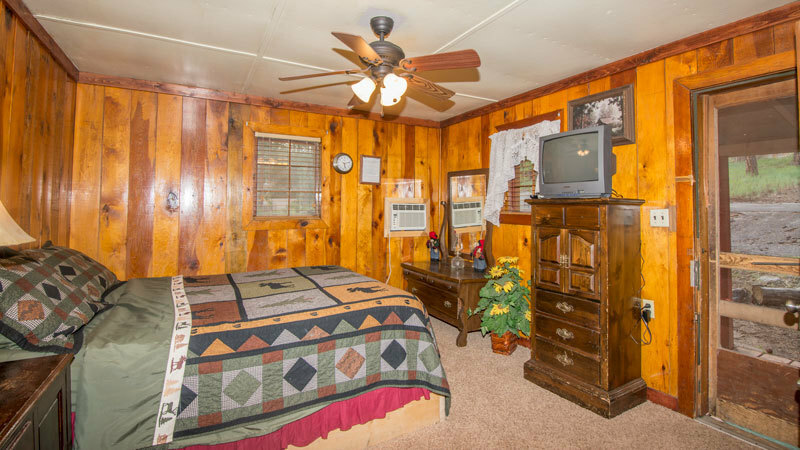 One is a master has a King bed with a designer quilt set and an en-suite bath with shower. 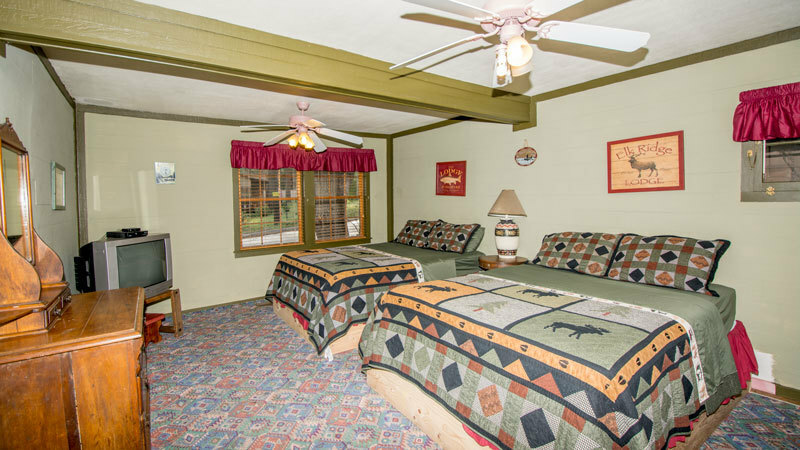 The second bedroom has two full beds, perfect for the kids or very good friends and a full bath across the hall. 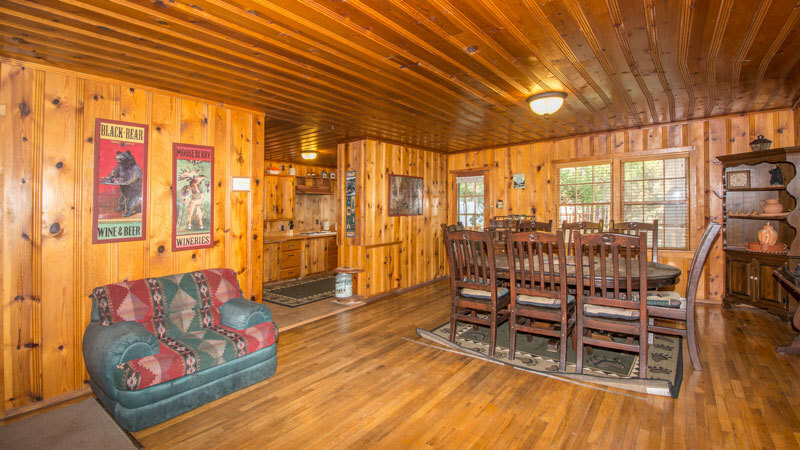 The great room has a set of bunks for the kids and out back is the Casita with a queen bed and a bath with a shower. This layout makes for lots of comfort and space. 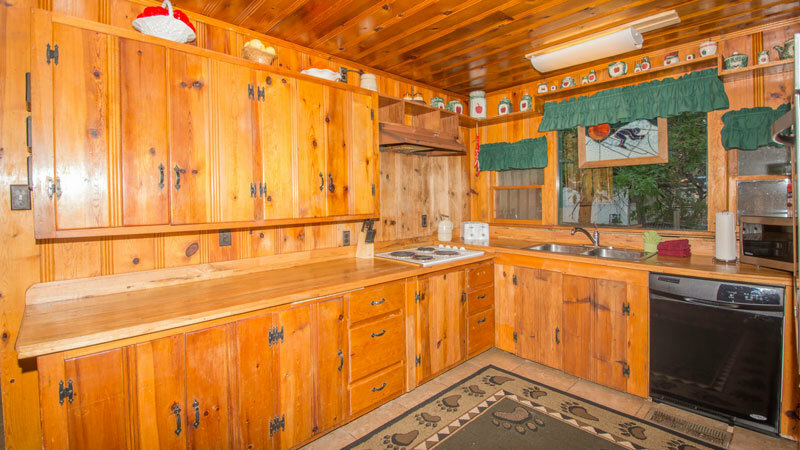 The main deck has a large gas grill and is convenient to the kitchen where the cook will be delighted by all the features. Be sure to bring some apples for the friendly deer that will inevitably drop by to say hello and keep on the lookout for Elk or the occasional Black Bear that may wander by. High speed internet makes keeping in touch with the outside world a breeze. 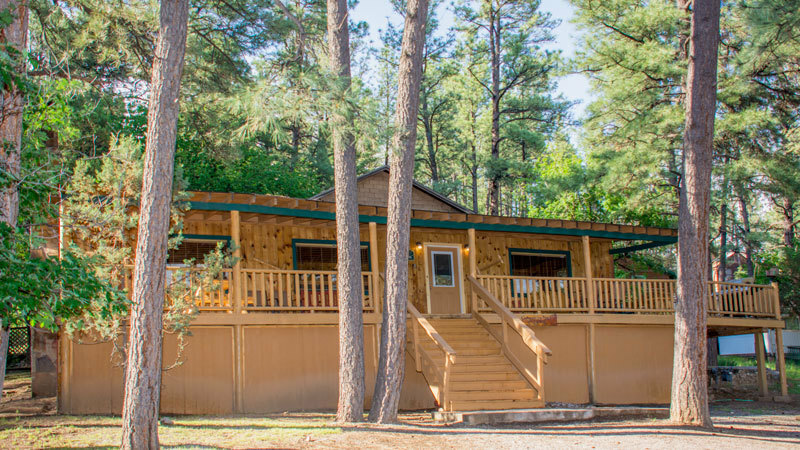 The little river is only a short stroll and all of Ruidoso’s attractions are a short drive away including shopping, dining, gambling, horse racing and so much more. 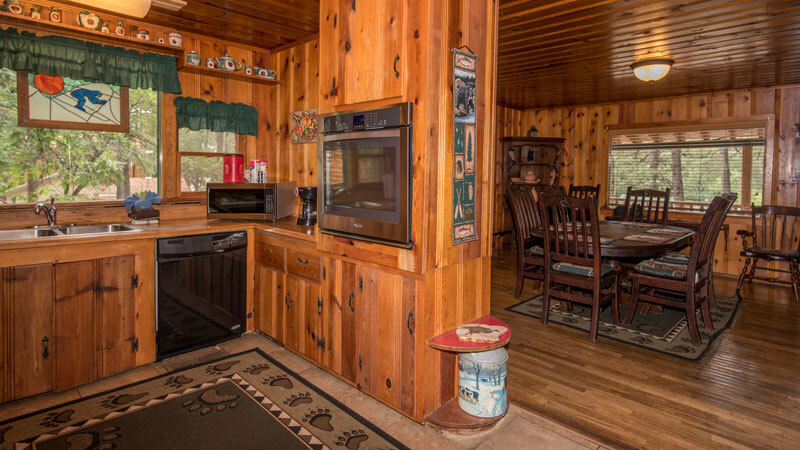 Be sure to check out our in-cabin directory for all the information you need, including the best restaurants in our “Just for you” selections, it’s where the locals eat.